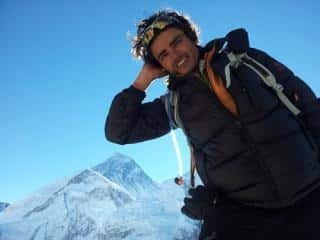 The Everest, a dream destination! Turn dreams into reality during this 14-day trek with Ramesh, certified mountain guide. Mt. Everest, Supreme peak of the Himalayas. 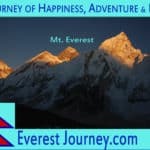 All adventure people in the world dream to trek to Everest base camp. 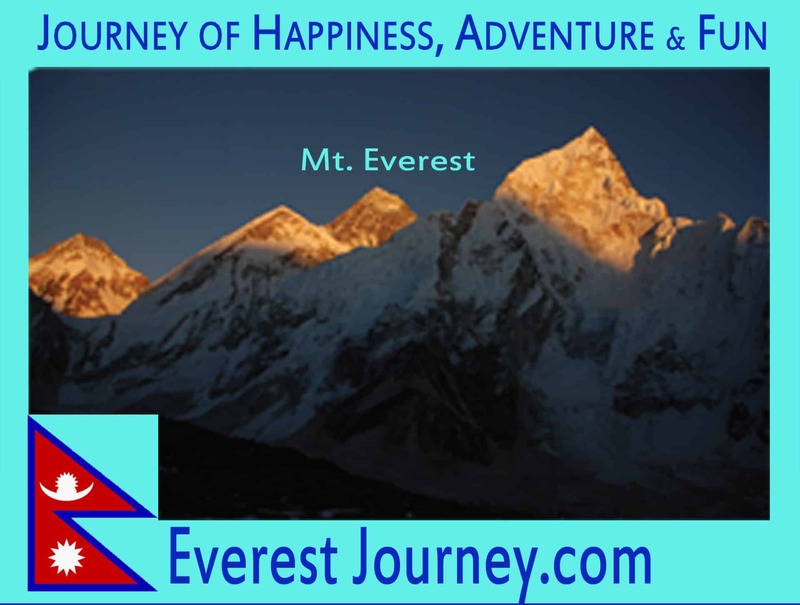 Everest, the name itself gives the challenge to all people’s mind and heart in the world. But in reality, it is not like that. Time has changed, mind has new thought, heart has new feel. It’s a very simple trek walking on wide and safe trails. It’s not like what was written in the past years. All normal people can easily reach the base camp and do the breathe chant with Mt. Everest. Each and every day chant/feel/talk/smile with Himalayas during the trek will remain fresh every movement in your life. Every year thousands of trekkers do this trek. It already becomes one of the famous treks in the world. Do you want to do this dream trek? Then contact me for more information! -Tea Houses/Lodges, Guesthouses accommodation during the trek. - City tour of Kathmandu and Pokhara with a professional tour guide and private car/van/bus. - Warm drinks during the trek. - Lunch and dinner whilst in Kathmandu. - Nepal entry visa fee (US$ 30 per person). You obtain a visa easily upon your arrival at Tribhuwan International Airport Kathmandu for 60 days from the date of issue. You require 2 passport sized photos. Mountaineering - 35 days - Interm.